Through the Localstars platform, our bespoke reports focus on much more than just impressions, clicks and conversions. 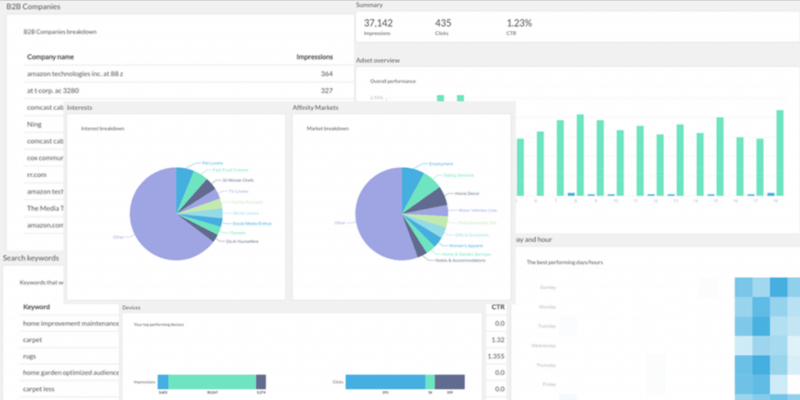 With Advanced Insights reporting you can shape and evolve your campaigns and creatives to ensure you drive the best results for your clients. You not only give your client the knowledge on how a specific campaign has performed, but you also have the data and intelligence on how certain campaigns in different industries across your client base resonate with particular audiences. This allows you to tweak and improve current and future campaigns for an advertiser to improve ROI and maximise. When it comes to pitching your services to new prospects, you can come armed with the data on how best to execute their campaigns. Providing extra value to your advertisers so they can begin to analyse the success of their campaign and plan for future investment. They will now know that a type of deal, offer or creative resonates with a specific audience based on detailed variables and factors. This helps them with planning for the future by building key personas and demographics for each of their products and services. It means that their next campaigns can be more tailored and will come with an even greater chance of success. By partnering with them to do this and by offering a platform to execute their campaigns based on these advertising reports you will become their go-to provider. Let’s think about your advertisers. They need to understand the best way to spend their budgets and how to identify the media owners that will provide them with the best value and the highest chance of success. You can separate yourself from the competition with tools like Ad Extension, Dynamic Ads and Feed Ads, but you also need to give your clients the best chance to understand the success of their campaigns through bespoke reporting to keep them coming back. Traditional Ad reporting metrics provided through ad servers such as impressions, clicks and conversions no longer suffice. Your advertisers will want to know the people and demographics that engage with their ads on a granular level. Details such as age, income, interests, gender, demographic, marital status and more. Localstars ensures that media owners can provide their clients with insights and data to improve the quality of their campaigns and boost their own revenues in the process. How does it work? Our team of campaign managers will not only manage your campaigns, purchase inventory and target the best audiences, they will also report on the above metrics and advise you on how you can evolve and iterate your campaigns for your clients. You will be provided with individual reports for each of your campaigns which can then be shared with your clients.